This is a digitally enhanced photograph. 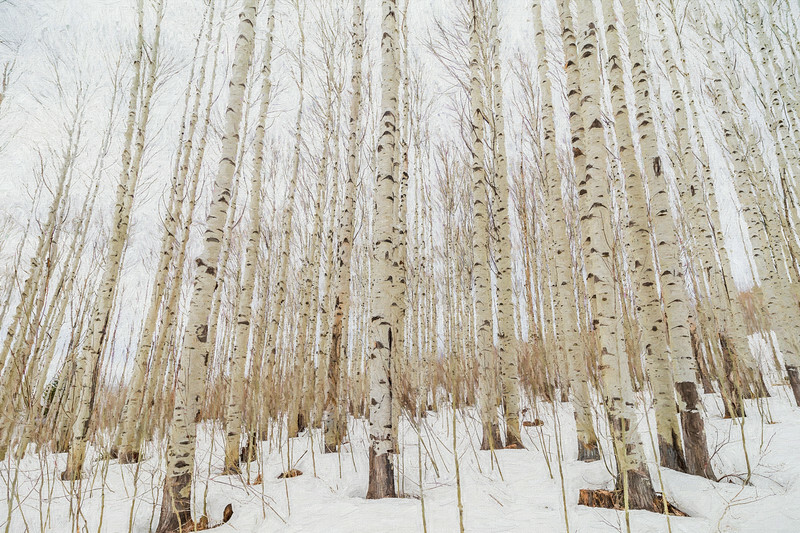 The original is my image "Winter Aspens." In a world full of noise and the madness of humans, these high mountain aspen trees go about their business: quietly, peacefully, beautifully.